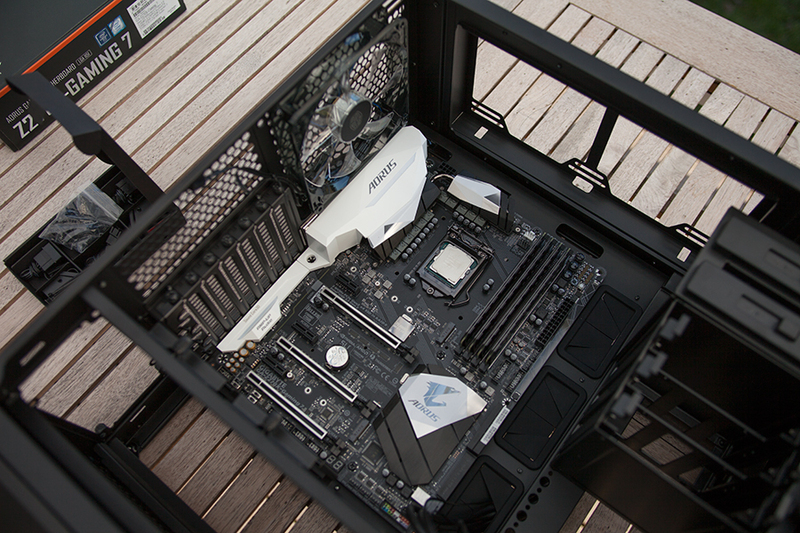 With the motherboard ready there’s a few steps to go through with the case before dropping the board inside. 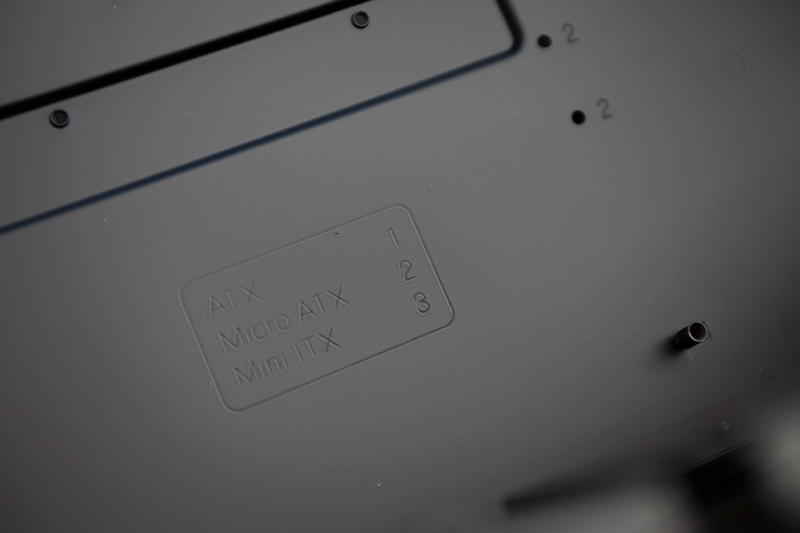 Each motherboard comes with its own I/O shield. This one snaps in to place at the back of the case. Make sure you get it secure in place and not upside down. 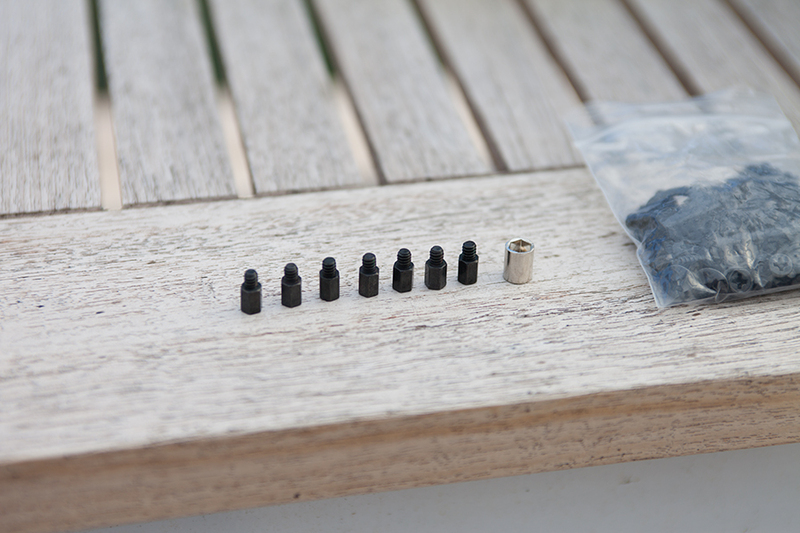 This case comes with a small box including all nessesary screws needed for installation of parts. 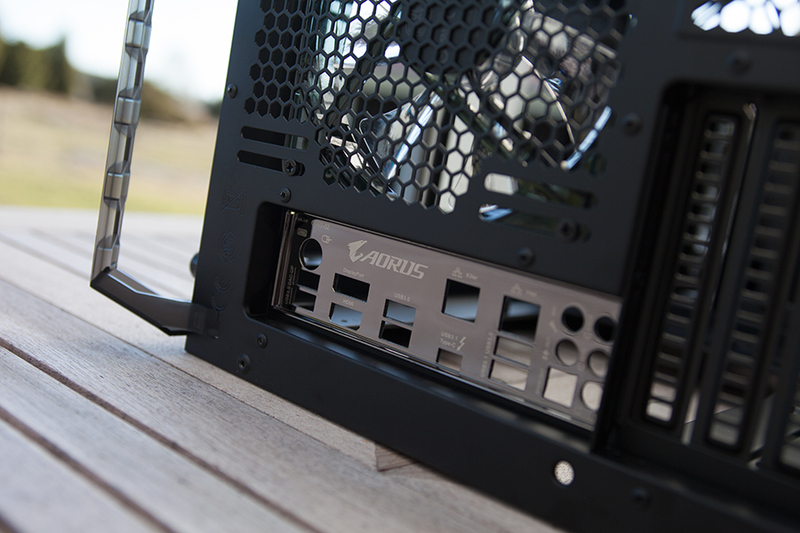 There’s these tiny standoffs that are crucial to use for the motherboard. Some cases might have these ones already mounted but this one has not. 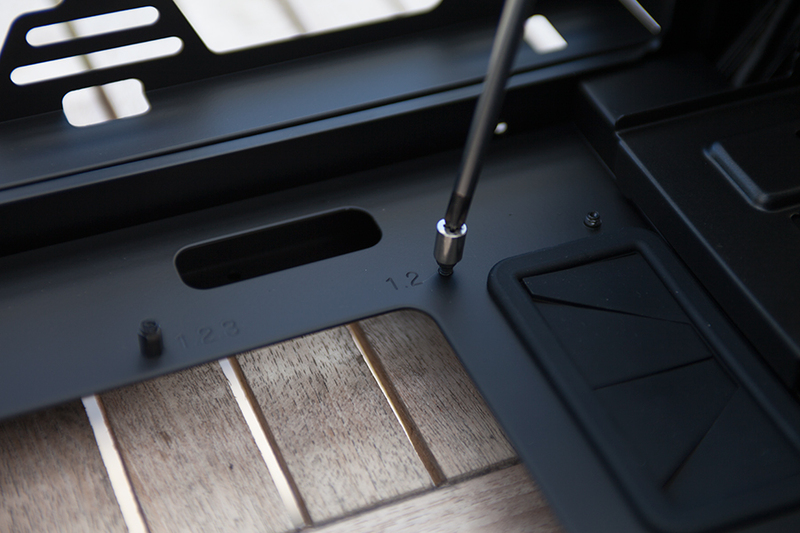 The motherboard tray actually got a sign to help you find the right holes depending on your motherboard design/size. 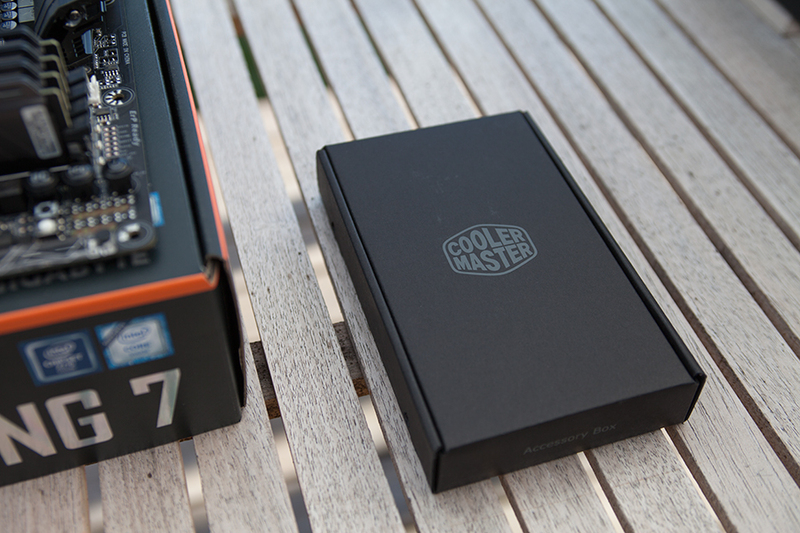 As the board I’m using is an ATX one I’ll put a standoff in each hole market with number 1. To simplify installation CM includes a small socket which allows you to use a phillips screwdriver and secure all standoffs tight in place. With all motherboard standoffs tight in their right place for ATX. I’ll just carefully drop the board in place trying not to move it around. If you’re to rough there’s a chance to damage the motherboard. This Mastercase comes with some pre-mounted special standoffs as the one to the left in the picture above. This one will help you guide the board to its right place and keep it there while preparing screws. Make sure you find the right screws. They should not need any kind of force while beeing installed, not to the very end. 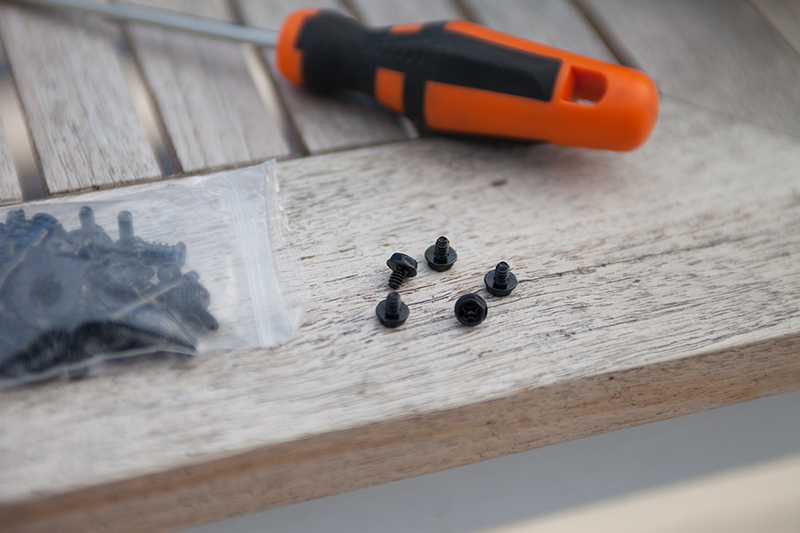 Tighten all screws without to much stress and you’re ready for next step!